For some, parenthood is easy and comes almost naturally. For others, it can be a bit of a challenge. And I cannot say that I am an authority figure on motherhood, given my clear lack of experience, but Jason Reitman‘s Tully, a comedy-drama starring Charlize Theron and Mackenzie Davis, is probably one of the most honest depictions of what it is like to be a mother in a contemporary age. Check out my full review of the film here below. Focus Features has released an official trailer for Tully, the latest from the team behind Juno, director Jason Reitman and screenwriter Diablo Cody. The movie stars Oscar winner Charlize Theron (Monster, Mad Max: Fury Road) as a burnt out mother who gets a night nanny played by Mackenzie Davis (Halt and Catch Fire, The Martian) to help her out and ends up forming a bond with her. Also starring is Mark Duplass (Safety Not Guaranteed, Creep) and Ron Livingston (Office Space, Adaptation). Continue below to read more about the movie and check out the trailer along with a poster. 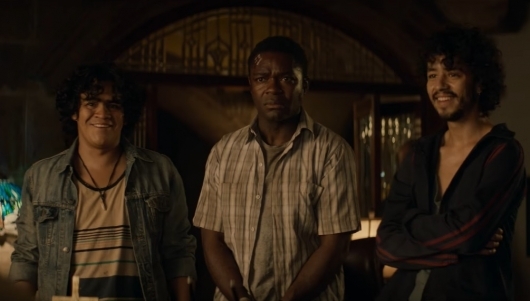 Amazon Studios has released a trailer for Gringo, an upcoming movie starring David Oyelowo (Selma, The Butler), Charlize Theron (Mad Max: Fury Road, Atomic Blonde), Joel Edgerton (Bright, Black Mass), Amanda Seyfried (Les Misérables, Mean Girls), Sharlto Copley (District 9, The A-Team), Hernán Mendoza (After Lucia, The Perfect Dictatorship), Thandie Newton (Westworld, Crash), Harry Treadaway (Honeymoon, The Lone Ranger), Alan Ruck (Ferris Beuller’s Day Off, Speed), and Kenneth Choi (The Wolf of Wall Street, Spider-Man: Homecoming). The film is directed by Joel’s brother Nash Edgerton (The Square), and written by Anthony Tambakis (Warrior, Jane Got A Gun) and Matthew Stone (Life, Intolerable Cruelty). Gringo follows a pharmaceutical executive who’s sent on a business trip to Mexico. Things do not go well. Not at all. 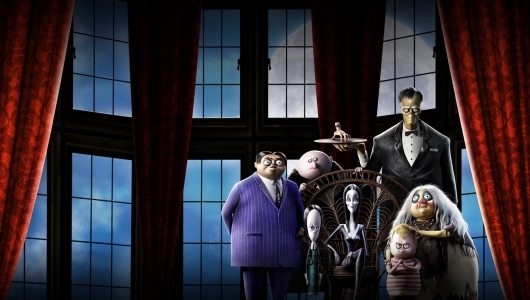 You can find a full synopsis for the movie and watch one of two (or both!) trailers below. 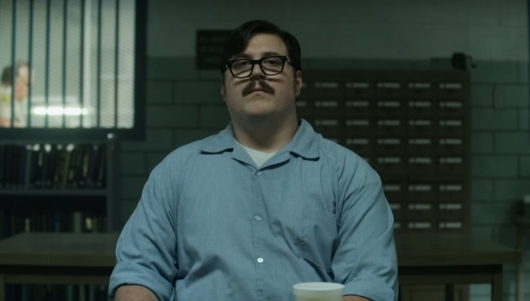 Netflix has released a new trailer for their upcoming original series Mindhunter. The show is created by Joe Penhall (The Road) and executive produced by David Fincher (The Social Network, Fight Club) and Charlize Theron (Atomic Blonde, Mad Max: Fury Road). Fincher also directed multiple episodes of the crime drama, a genre he’s of course no stranger to having previously directed titles like Se7en, Zodiac, The Girl with the Dragon Tattoo, and Gone Girl. Other directors include Asif Kapadia (Senna, Amy) and Andrew Douglas (2005’s The Amityville Horror). 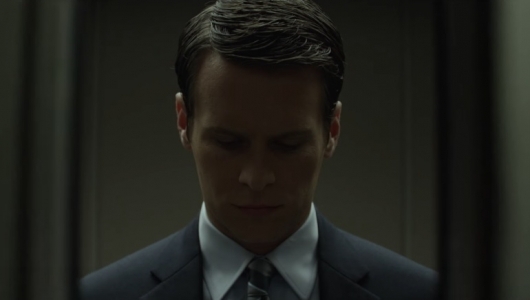 You can find the new trailer for Mindhunter below. Netflix has released an official trailer for Mindhunter, a crime drama series. If you missed it, you can also watch the teaser trailer released earlier this year. The series is created by Joe Penhall (The Road), and executive produced by David Fincher (Se7en, Fight Club) and Charlize Theron (Atomic Blonde, Mad Max: Fury Road). Creating killer soundtracks for a film appears to be in very high demand nowadays. From Guardians of the Galaxy to Baby Driver, the way that pop culture music is being used makes it feel as though they are a character in the film itself. And that couldn’t be truer for the upcoming action film Atomic Blonde. 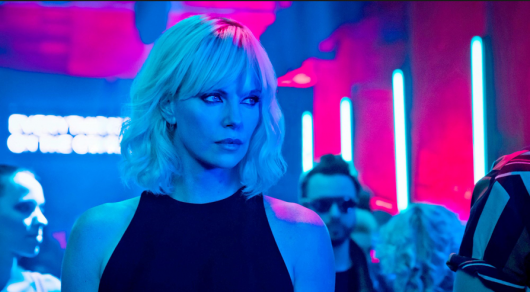 Set against the backdrop of the Cold War, Atomic Blonde takes place just before the fall of the Berlin Wall, with Lorraine Broughton (Charlize Theron) assigned to investigate the murder of a fellow MI6 agent, who was in possession of a top secret list, which in the wrong hands could expose every spy and operative. But as she searches for this elusive list, those working closest to her steer her in the wrong direction, in more ways than one. Without anyone to trust but herself, Lorraine finds out that getting that list and out of Berlin, alive, won’t be easy. So just imagine the Cold War canvas of bright 80s neon lights with contemporary covers of 80s British pop songs and action sequences that could only come from the mind of John Wick co-director David Leitch. We had a chance to talk to the director about his approach to the film, what he pitched to the producers, his use of music, that incredible one-shot action scene, and Deadpool 2. Check out our full interview with him here below.